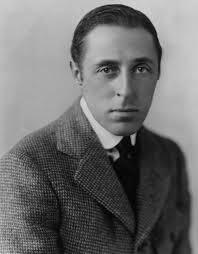 Today in Masonic History David Llewelyn Wark "D. W." Griffith is born in 1948. David Llewelyn Wark "D. W." Griffith was an American film director. Griffith was born in Crestwood, Kentucky on January 22nd, 1875. His father would pass away when Griffith was ten years old. Due to his father's passing Griffith never finished high school, he needed to work to help support the family. After working in a bookstore Griffith would become a playwright with little success. He would also take on jobs as an extra in plays. In 1907, Griffith headed to New York to try to sell one of his scripts to Edison Studios. He was turned down for the script and asked to take a role in a movie that was being filmed. His part in Rescue from an Eagle's Nest would start his career in the movie industry. In 1908, Griffith would accept a job with the American Mutoscope and Biograph Company as an actor. Shortly after the studios main director became ill, the man's son would try to take over, without success, before offering the job to Griffith. By 1914, Griffith had a vision for the film industry that was not shared by Biograph. Griffith wanted to see longer films produced, Biograph thought that longer films would "hurt the [audiences] eyes". Griffith would work with a few studios over the next year including with Mack Sennett. In 1915, Griffith would release the Clansman which would later be known as The Birth of a Nation. The movie was based on a book called The Clansman. Although the storyline of the movie was incredibly controversial (the film depicted a pre civil war south, slavery as benign, and the enfranchisement of freedmen as a corrupt Republican plot), it set the standard for years to come. It was one of the first feature length films, most films of the time were less than an hour. In 1916, Griffith felt he responded to those who criticized The Birth of a Nation by releasing Intolerance. Intolerance was three and a half hours long and depicted four stories that ran parallel to each other in various centuries. It is considered a masterpiece of the silent film era. In 1920 Griffith would help found United Artists with Charlie Chaplin, Mary Pickford and Douglas Fairbanks. Chaplain would refer to Griffith as "The Teacher of us All". Many directors site Griffith as an inspiration to them. Orson Welles once said "I have never really hated Hollywood except for its treatment of D. W. Griffith. No town, no industry, no profession, no art form owes so much to a single man." Griffith would pass away on July 23rd, 1948 from a cerebral hemorrhage. Griffith was a member of St. Cecile Lodge No. 568 in New York City, New York.